Chances are you'll either never find a set of large agate slices or perhaps afford a set. 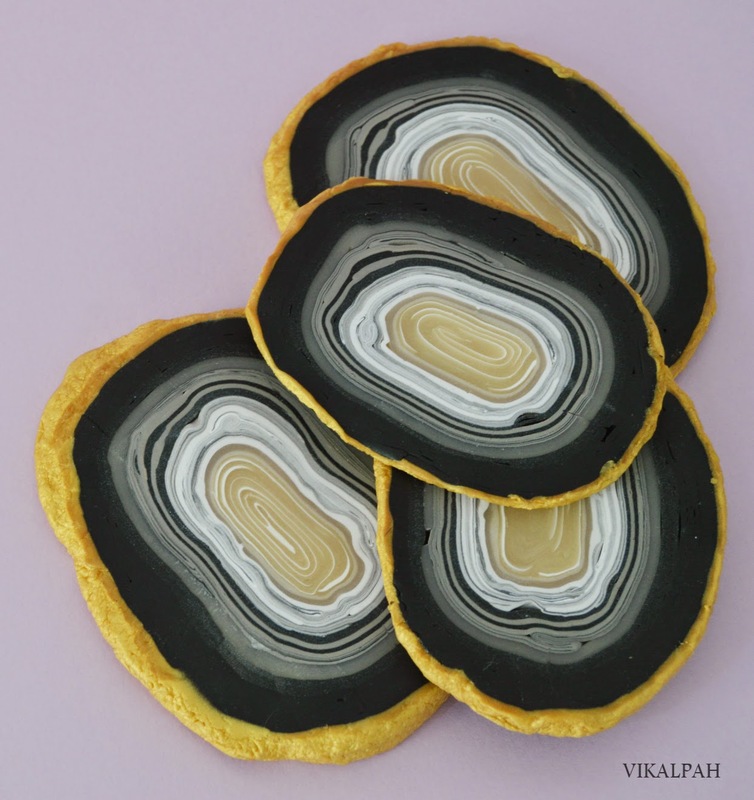 But you could create faux agate slices in any color scheme and use them as coasters! Polymer clay is one medium which can easily be used for home decor as well as jewelry. This tutorial is by Sahana over on Vikalpah. She used a solid gold tone color for the outside layer and a crushed ball of aluminum foil to add the texture. I think dabbing on other toning colors to this layer will make the fake agate slices look real.